AMERICA’S GOT TALENT: Howard Stern to Takeover For Piers Morgan! NBC has a couple of announcements this morning for their popular talent competition show, “America’s Got Talent” (AGT). As auditions for the show’s seventh season continues across the country, NBC stated in a press release that production for the live shows will be in New York. It was also announced this morning that the replacement for show judge Piers Morgan will be controversial radio host Howard Stern. 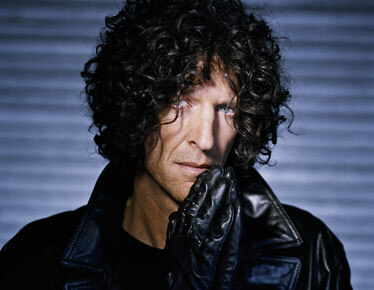 Howard Stern to takeover for Piers Morgan on AGT! “America’s Got Talent” is moving to New York in order for Stern to continue his SiriusXM radio program. President of Alternative and Late Night Programming, NBC, Paul Telegdy commented on Stern’s addition to the show, “Howard Stern’s a larger than life personality will bring a thrilling new dynamic to America’s Got Talent starting this summer…He is very passionate about this show and is fully committed to its future success”. It seems that with Stern joining the judging panel, it will bring “America’s Got Talent” one step closer to what it has slowing become, a big tent with circus acts. Stern qualifies as it’s ringleader. We will be waiting and watching when AGT returns to NBC in the Summer 2012.